It’s christmas time - and as in every year the town center is brightly decorated making it as enchanting as a place can be during that time of the year. 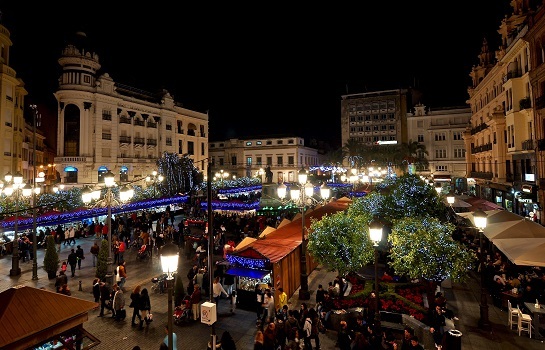 Cordoba’s emblematic Tendillas Square turns into a delightful Christmas wonderland. Between 9 November and 22 December, locals and tourists are invited to amble between various market stands offering Christmas items, including nativity scenes, wooden toys and household items made from olive wood, as well as seasonal culinary treats. Indulge yourself in a wide range of Christmas pastry, candy, bread, cheese, and much more. Of course, there is an entertainment program for kids, including theater performances and magic. A larger-than-life nativity scene adds to the wonderful atmosphere. To see which items are offered, you may go to our Spanish page.